Stockport manufacturer Resin Surfaces Ltd (RSL), part of The Sherwin–Williams Company, is finding continued success with a range of innovative eco-friendly solutions for floors and walls. Established in 1982, RSL boasts one of the most comprehensive ranges of industrial coatings and screeds in Europe. RSL’s most exciting innovation to date is a range of water-based resin floor coatings and finishes that take VOC ratings to a ground-breaking low while retaining ‘pot life’, a key barrier to developers elsewhere in the sector. To identify routes to market for the product range, RSL worked closely with Claire Scott, environmental business advisor at the Business Growth Hub. The Hub also helped RSL to identify and implement a range of resource efficiency measures on-site, including simple actions to reduce heating and waste costs. 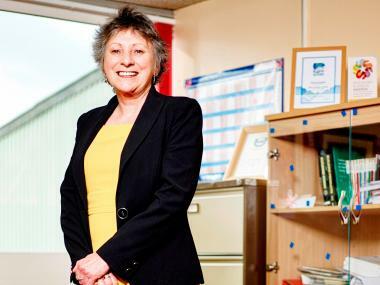 Claire Scott said: “RSL’s story shows that innovation-focused SMEs can lead the way in their industry and attract the interest of the world’s biggest companies.